With its rural farmlands, rolling landscape, locally owned businesses, and tranquil setting, Holland embodies small-town charm. Yet for 54 summers, since 1960, the quiet splendor is interrupted on many Saturday nights by a particular type of roar. It is Holland's racing heritage, known to locals as "Thunder in the Hills." Over the track's long history, many Holland area residents have worked or raced there or enjoyed the racing action as spectators. 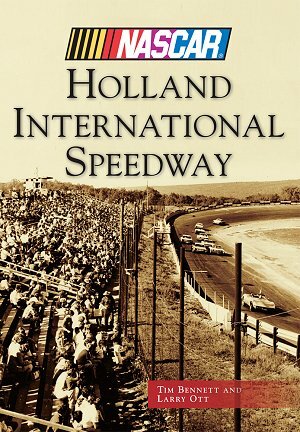 Holland International Speedway showcases the many cars, stars, officials, and other developments that make up the history of this beloved local track.